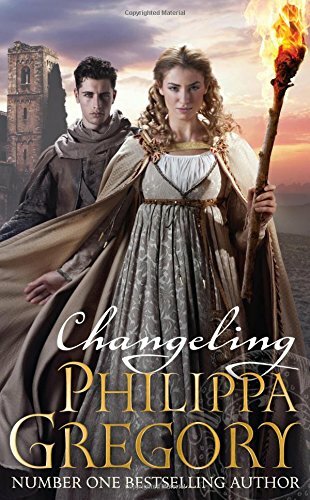 Changeling is bestselling historical novelist Philippa Gregory’s first book for teenagers and, as her adult fans would expect, it is a thoroughly engrossing, pacy and entertaining read. In contrast to her adult novels, the four young people at the centre of this book are not real life historical characters, but fictional. The series title is ‘Order of Darkness’, however, and an author’s note credits the fifteenth-century Order of the Dragon, created to defend Christendom against the Muslim Ottoman Empire, as starting point. A gripping opening in which the handsome young monk Luca is dragged from his bed in the middle of the night to face an accusation of heresy sets the tone: these are dark and dangerous times. Luca is appointed an enquirer for the church, sent out to seek the darkness and question it. It’s a role that both intimidates and fascinates him. His first ‘case’ is the apparent possession of nuns in an abbey. The women are sleep-walking, seeing visions and waking with the signs of the stigmata on their hands. The finger of accusation is pointed squarely at the new Abbess, a rich and educated young woman forced to take on the role as an alternative to marriage to a man she loathes. As Luca’s investigation unfolds, the true nature of the corruption at the heart of the Abbey is revealed. We get to know the other characters in the novel too: the abbess Isolde, Ishraq the Muslim girl who has been her companion since childhood, and Luca’s servant Freize. Together they solve the mystery, though the climax sees all four fleeing the abbey. A second adventure, another investigation into strange events, follows. The introduction of the supernatural into these stories is a canny move that will make them even more appealing to their intended audience but there’s a great deal for teens to enjoy throughout. The characters are vividly drawn, as is the world they inhabit, and Gregory accurately conveys the physical and intellectual tests and trials of the fifteenth century. This book should win her a whole new generation of fans. The handsome hardback edition features a map of the Mediterranean Sea by Camaldolese monk Fra Mauro as well as other illustrative treats.